1 Seven Pillars Of Wisdom (Unabridged): To S.A.
7 Seven Pillars Of Wisdom (Unabridged): The Beduin of the desert. 10 Seven Pillars Of Wisdom (Unabridged): Feisal's position was hazardous in the extreme. 2 Seven Pillars Of Wisdom (Unabridged): The first of us was Ronald Storrs. 6 Seven Pillars Of Wisdom (Unabridged): We talked to him first about the state of Jidda. 9 Seven Pillars Of Wisdom (Unabridged): Meanwhile in the early sunlight. 4 Seven Pillars Of Wisdom (Unabridged): This left Feisal alone up country. 8 Seven Pillars Of Wisdom (Unabridged): In Jidda was the Euryalus, with Admiral Wemyss. 7 Seven Pillars Of Wisdom (Unabridged): However, this afternoon the Ageyl were not thinking of God. 2 Seven Pillars Of Wisdom (Unabridged): Here was a pompous, professorial beginning. 4 Seven Pillars Of Wisdom (Unabridged): For hours after the Shepherd had been suppressed. 6 At dawn, the clouds had disappeared. 6 Seven Pillars Of Wisdom (Unabridged): When I returned it was June the sixteenth. 5 Seven Pillars Of Wisdom (Unabridged): Our excuse for over-running expediency was War. 6 Seven Pillars Of Wisdom (Unabridged): In camp the chief men distributed our party. 5 Seven Pillars Of Wisdom (Unabridged): In these slow nights we were secure against the world. 7 Seven Pillars Of Wisdom (Unabridged): He saw me shivering, partly I think, with cold. 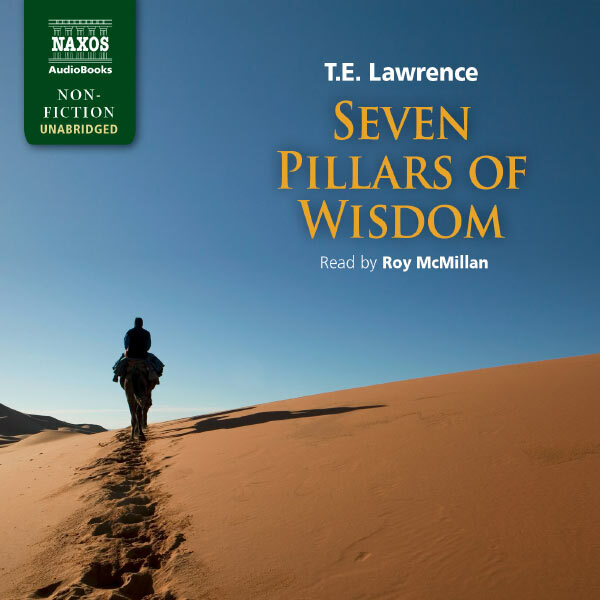 4 Seven Pillars Of Wisdom (Unabridged): I paid my men six pounds a month. 8 So we came at last, alive, to Jefer. 8 Seven Pillars Of Wisdom (Unabridged): The demolition of that night was a fantastic muddle. 5 Seven Pillars Of Wisdom (Unabridged): It was very dark, with a wind beating in great gusts.